Grass Seed » Grass Seed-Mix » GS-O5 - Surf the Turf! Over seeding mix for Lawns, Fairways, Roughs, Tees, Athletic Fields, and other sunny areas. Can also be used as a new seeding mix for same areas. All mixes contain certified varieties and contain no Poa annua. Some varieties are subject to change based on availability. 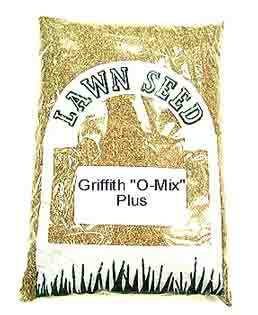 Griffith A-Mix Grass Seed 5lb. Griffith D-Mix Grass Seed 5lb.